In November, 2013, Super Typhoon Haiyan hit the central Philippines, and caused huge losses of life and property. In the beginning of this year, the Philippine Government estimated that over 7,400 people were killed and about 16 million people lost their houses. The damage was huge especially in Tanauan, Tacloban, Santa Fe, Burauen, and so on, in Leyte. Among them, Tanauan was the most severely damaged area; about 2,000 people were dead or missing among 50,000 residents, and 95% of buildings were totally or partially destroyed. Around a year has passed after the typhoon. In this devastated place swept by the storm and wind, hope is growing thanks to many people’s care and help. Over 1,600 members from the Intl. 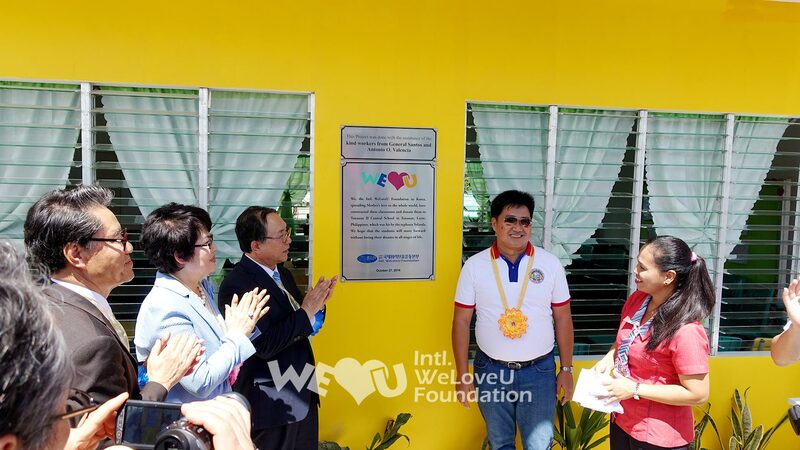 WeLoveU Foundation in the Philippines took the lead in volunteer service—packing and distributing relief goods at the Department of Social Welfare and Development [DSWD] of the Philippines on 27th and 28th of November last year. 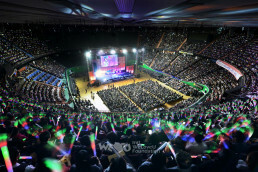 Also the Headquarters of the Foundation in Korea had a relief fund donation ceremony to help the typhoon victims in the Philippines at the 14th New Life Concert held at the Seoul Student Gymnasium on December 15, 2013. Afterwards, the Foundation consulted the city government of Tanauan which was damaged most severely by the typhoon, and pushed forward with the plan of rebuilding collapsed school buildings. It was to support the residents who considered their children’s future first even in the difficult situation. Tanauan II Central School (for elementary students) and Tanauan National High School are adjacent to each other. There are 520 students from the first grade to the sixth grade in the elementary school, and 1,400 students from the first year to the fourth year in the high school. (The basic education system of the Philippines is composed of six years of elementary education, and for years of high school education. The new 12-year system requires two more years in the senior high school. Both systems are working.) Because of the typhoon, three out of seven buildings of Tanauan II Central School collapsed and the rest were partially destroyed. The damage of Tanauan National High School was more serious. Only one out of seventeen building was left. The majority of students had to have classes in the humble tents. 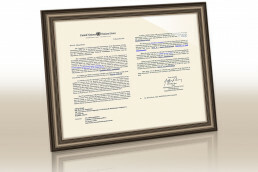 Many organizations whether international or nongovernmental such as the Intl. 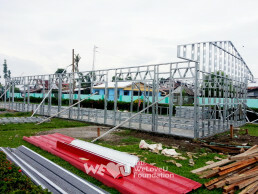 WeLoveU Foundation and UNICEF gave a helping hand and built school classrooms one after another. 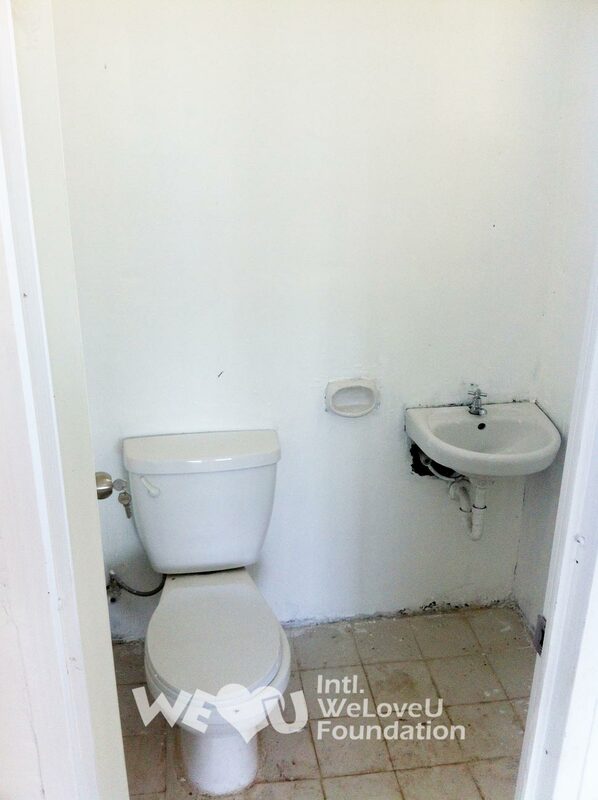 After the construction all through the summer, the two buildings were completed by the Intl. 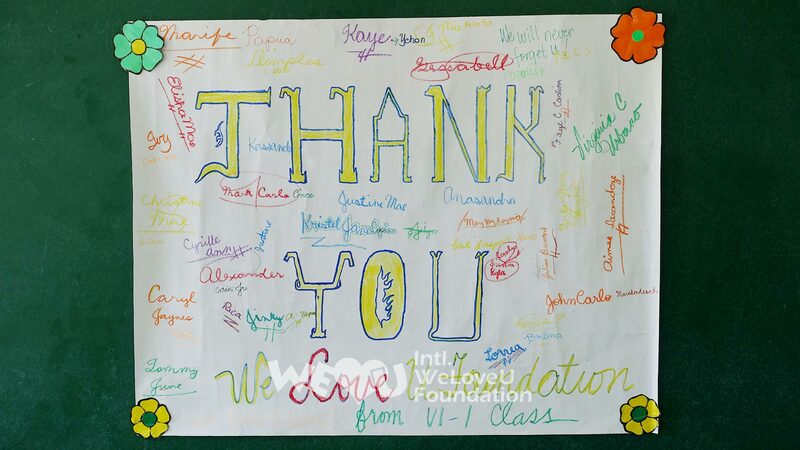 WeLoveU Foundation in the beginning of September. The new building painted in yellow had lovely windows and green-colored desks and chairs. The building of three classrooms was for the fifth and sixth-year students of the elementary school, and the building of two classrooms was for the high school, which could be used for a science class. On October 27, the classroom dedication ceremony was held in Tanauan City Hall, Tanauan II Central School, and Tanauan National High School in succession. 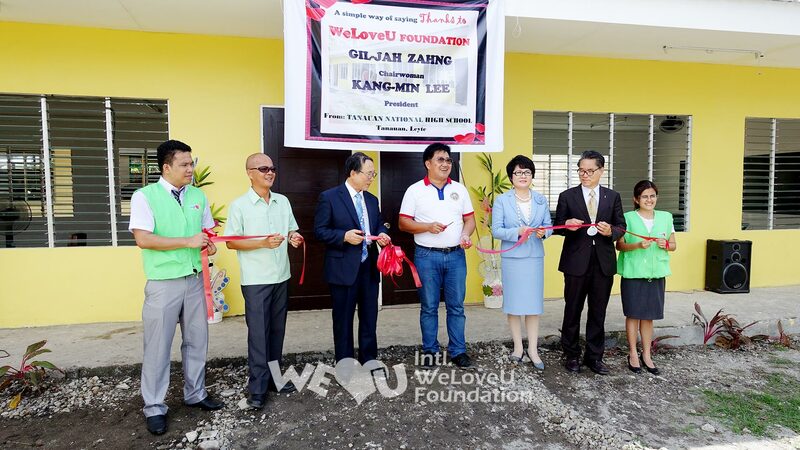 The staff members from the Foundation including Executive Director Lee Kang-min and Mayor of Tanauan Pel Tecson participated in the ceremonies. 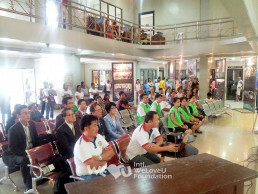 City government officials, teachers, and students also attended each ceremony and welcomed the Foundation staff. “You’ve given us a big help, and it has become a strong message to all students and citizens in Tanauan that life is coming back to us in Tanauan. We will cherish your help forever,” said Mayor Pel Tecson. Saying that he was greatly moved by the Foundation when he watched a video about its volunteer services carried out in disaster stricken areas of the world and by its help given to the residents of Tanauan and people of the world, Mayor Pel Tecson gave the plaque and the certificate of appreciation to the Foundation and expressed his gratitude repeatedly for rebuilding school buildings in Tanauan. The students from the Tanauan II Central School also expressed their thanks by giving flower necklaces, playing musical instruments, and singing. “On behalf of the teaching staff, the parents, and the pupils of Tanauan II Central School, I would like to thank the chairwoman of the Intl. 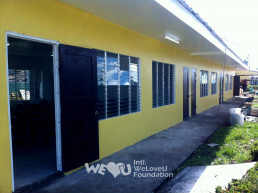 WeLoveU Foundation and all the members for giving us a great help and building classrooms. The students are very happy to be able to study in peace in these comfortable classrooms, and the teachers too are very grateful to you because they can teach to their hearts’ content in the classrooms with good ventilation,” said Principal Geraldine Mangaliman. “The Foundation planned to build classrooms for students who will lead the future of the nation. 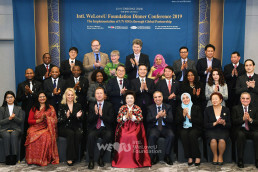 We think it’s very meaningful,” said Executive Director of the Foundation Lee Kang-min after delivering the message of Chairwoman Zahng Gil-jah and the members in Korea who were concerned about the typhoon damage in the Philippines. “Please be healthy, learned, and cultured, so that you can fulfill your dreams and practice love,” he said, encouraging the students. At the Tanauan National High School dedication ceremony, which was held in front of the new building, Standing Advisor of the Intl. 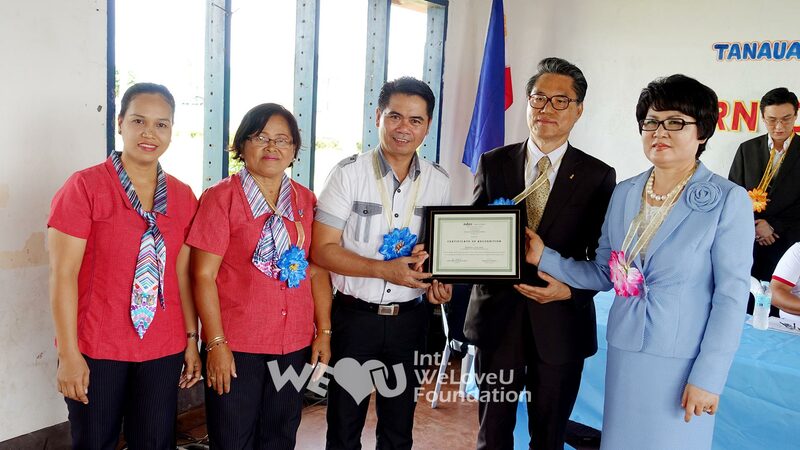 WeLoveU Foundation Lee Bae-keun went up to the podium in response to Principal Fructuoso Baliton when he expressed his thanks. The standing advisor mentioned that the Philippines and Korea shared brotherly love as the Philippines sent her troops to Korea during the Korean War and said, “Mother’s love of the Intl. 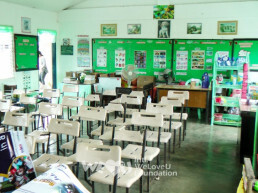 WeLoveU Foundation and the brotherly love of the Philippines meet together at this site. We’re very happy to participate in this meaningful ceremony.” He also hoped that the students, who would study in these newly built classrooms, would become great leaders in society. The two schools that received the donation certificates signed by the Foundation expressed their gratitude again while giving the letter of appreciation to the Foundation. After the dedication ceremony, the Intl. 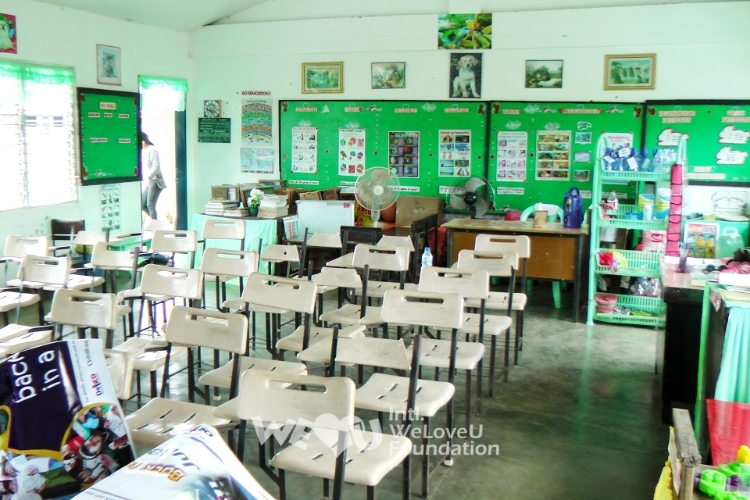 WeLoveU Foundation gave schoolbags to the students of Tanauan II Central School and Tanauan National High School. 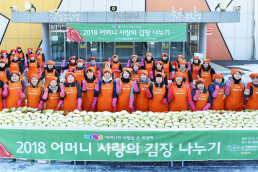 Young elementary students and youthful high school students all together said thanks and smiled brightly. 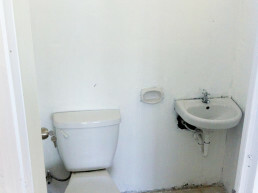 “Thank you very much for the new classroom. I’ll study hard and learn many things in the beautiful classroom,” said a female high school student. In the bright smiles of the students who were running in front of the new building with their new bags, we could see the bright future of the Philippines that overcomes the typhoon and rises again.